Afternoon Tea is truly one of my favorite activities. And it's even more special when it's holiday themed. 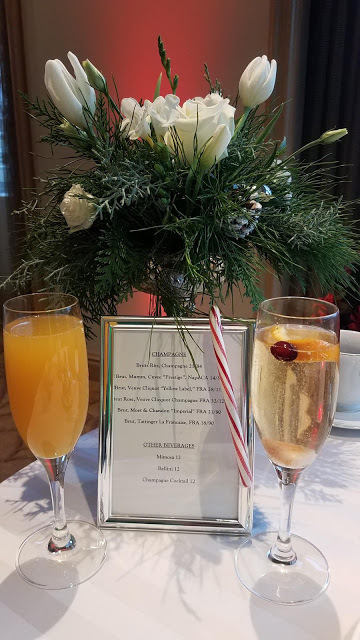 My Auntie and I went to the Holiday Tea at The Ritz-Carlton in Cleveland this past weekend and it was magical. 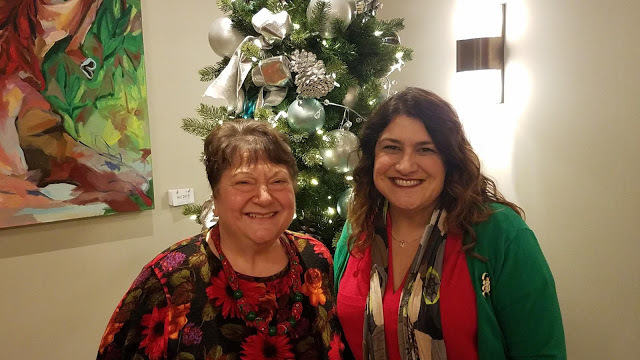 The hotel is decked out in all her holiday finest with multiple Christmas trees, wreaths, a gingerbread house and all things sparkly. And we were feeling festive too. Each table had a beautiful floral arrangement and the natural light from all the windows made everything sparkle. 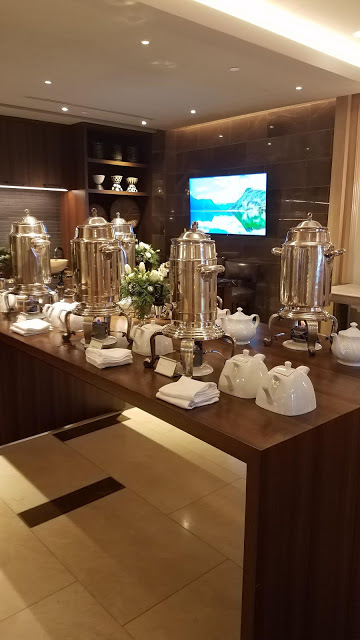 Instead of providing a pot of tea for the table, the staff came around to each table, explained the varieties and poured your choice. I really liked that you were able to try as many of the five teas as you liked and they were always piping hot. My favorite was the vanilla. Tea is great but champagne is even better! We of course had to try the champagne cocktails. Next they brought us a tower of savories. Everything was beautifully prepared, incredibly fresh and delicious! 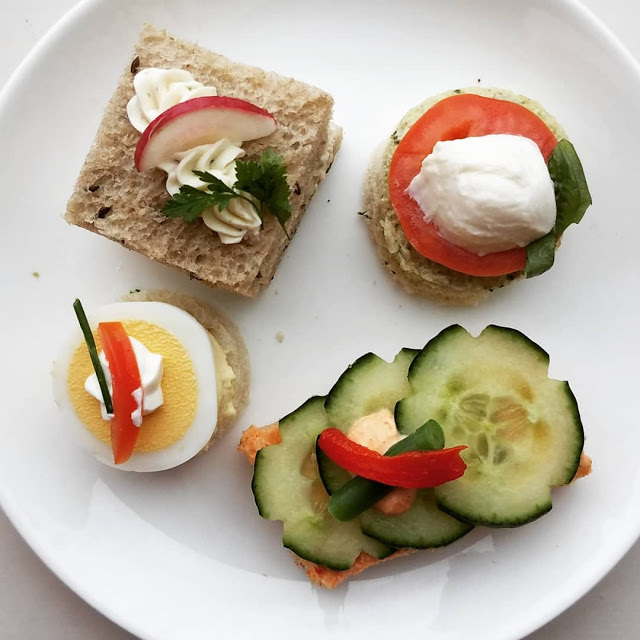 Smoked salmon on pumpernickle, chicken salad on whole grain, caprese and egg sandwich circles, and of course a cucumber sandwich were included. I loved the attention to detail in all of the garnishes. So pretty! The bread was soft but dense enough to hold up to the hearty fillings. After we nibbled and sipped and relaxed a bit, they brought out the tower of sweets. What an assortment! I'm torn because I would have liked two of everything, but then the variety would have had to be smaller. We had to bring a few items home because we were absolutely stuffed. They even include house made candy that is stunning. Almost too pretty to eat! 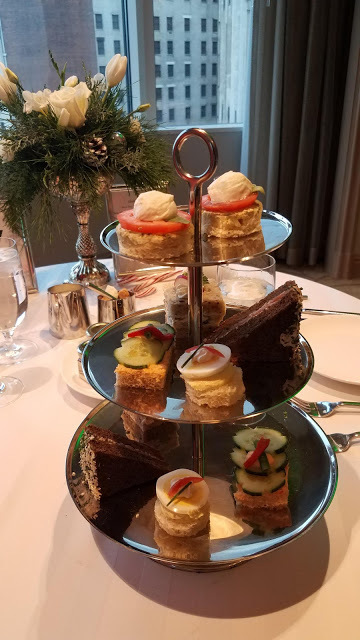 Definitely mark your calendar for next year to escape all the hustle and bustle of the holidays and spend a delightful afternoon at The Ritz for one of their Afternoon Teas. 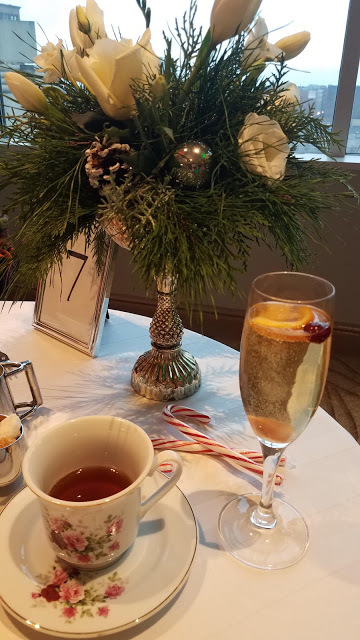 The Ritz offers non-holiday teas though out the year. No matter when you go, I guarantee it will be a delightful and delicious experience! 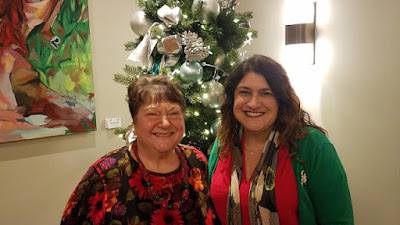 ** Disclosure: I was invited to experience the Holiday Tea with a guest. 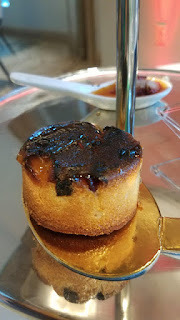 I have also gone to several teas at the Ritz throughout the years at my own expense. 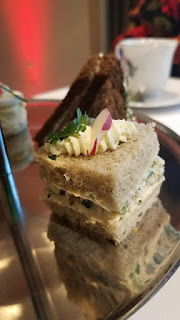 I've never been to a tea, but seeing your posts about this has made me really want to! So cool that the Ritz offers this. It's such a great way to spend an afternoon! So relaxing...and of course delicious! I'm going to be hosting a blogger tea party. I'll be sure to invite you!